As a provider of simulation-based Production Scheduling software to many Smart Factories, Simio is often asked about the benefits of embracing Industry 4.0 in manufacturing. "Our simple answer is that the 4th Industrial Revolution is happening right now, not in the distant future," says Gerrit Zaayman, Simio's Vice President of Scheduling and Digital Transformation. "The technology already exists to manufacture in a whole new, and better, way." 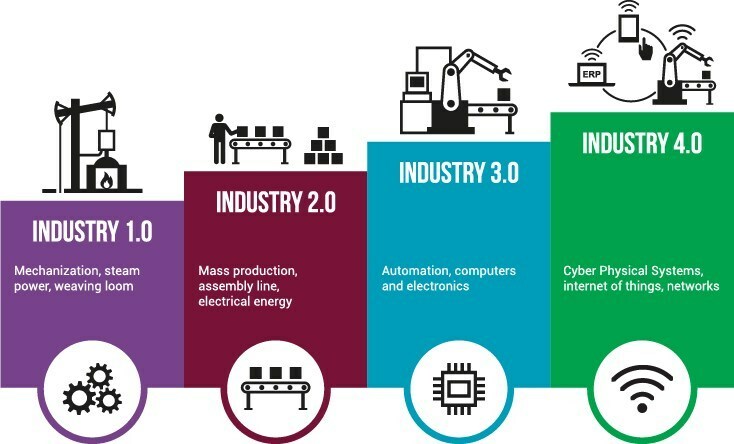 "When companies adopt Industry 4.0 methodology, they work digitally, harnessing the benefits of Big Data, Analytics, AI and Cloud Technology to work with connected devices and intelligent schedules. The result is a responsive operation with absolute control over its demand, inventory and production processes." The ability to manufacture different products, at higher speeds and quality, with improved supply chain and distribution facilities, as well as faster decision making throughout, allows the Smart Factory to run at much greater efficiency. Flexible manufacturing allows for shorter production runs and more customization, improving the product range, mix and scalability. A company is able to collaborate with customers and suppliers over their specific needs and to accommodate any constraints. Experiments and prototyping can be performed quickly and even virtually using 3D design capabilities. Involving customers, suppliers and employees in the entire design and production process leads to better decision outcomes. High levels of automation in Industry 4.0 require fewer people and result in less wasted materials and more efficient operation, with the effect of a direct lowering of operating costs. The opportunity for the Smart Factory to supply higher value and better quality products to larger markets means that customer loyalty and more stable contracts can be achieved. Staff are valued and supported by the addition of technology to their functional operations. Ergonomic workstations, improved training and collaboration make for safer and more fulfilling roles that allow for development within the company. High volumes of detailed data is collected, stored, processed and shared, providing valuable information about every step of the planning and production stages, reaching even further to inform service and support. Better information flow facilitates scheduling and prevents downtime or breakdowns, as well as promoting a more connected work environment. Providing the customer with perfect quality at low cost and great availability, Industry 4.0 operation can't help but makes customers happy. Quick resolution of issues and excellent service ensures that they won't ever go anywhere else. As an essential component of Smart Factory operation, Simio's simulation-based Production Scheduling software facilitates these benefits, integrating prebuilt objects with flexible modeling techniques to provide the most accurate portrayal of processes. With Simio, the unpredictable can be predicted, viewed and documented, "What If..." questions can be answered and scenarios modeled. The end result is that costly manufacturing mistakes can be avoided, maintaining productivity and performance to ensure that the business capitalizes fully on the benefits of Industry 4.0 operation. Simio LLC was founded in 2005 by a highly experienced team. Founder and CEO of Simio LLC, C. Dennis Pegden, Ph.D., has over three decades experience in simulation and scheduling and has been widely recognized as an industry leader. He led in the development of SLAM (marketed by Pritsker and Associates) and then founded Systems Modeling Corporation. Dennis led the creation of the market-leading simulation products SIMAN® and Arena®, as well as, the finite capacity scheduling product Tempo. Now Simio is a market leading, 4th generation simulation product with patents for flexible object design and scheduling risk analysis. Simio object design eliminates text-based coding for building models and planners can predict the risk in their detailed production schedules. Simio's unified model works for both facility design and managing daily operations. To learn more, visit Simio.com.